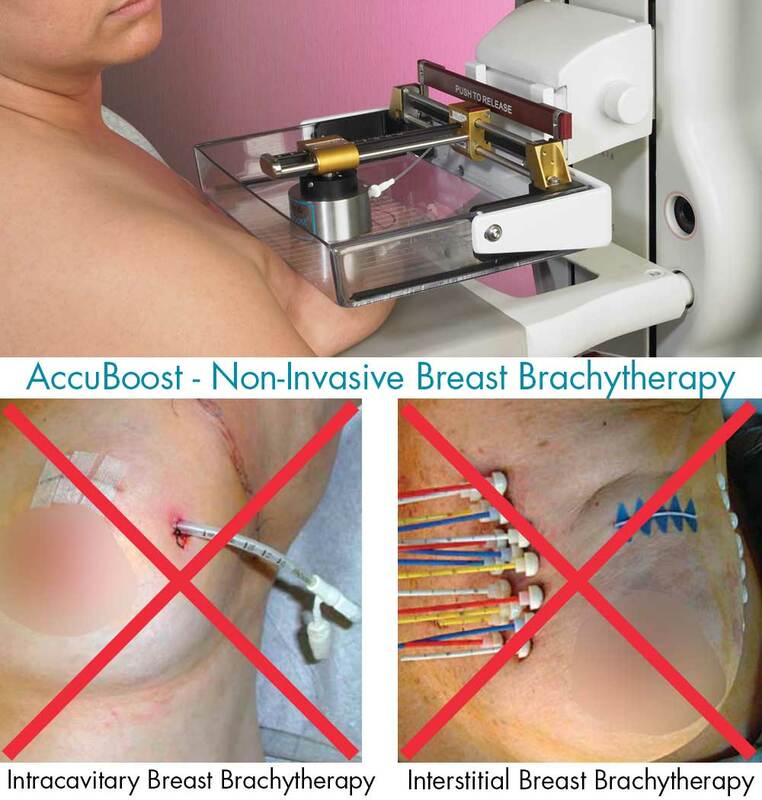 AccuBoost, also known as Non-Invasive Image-Guided Breast Brachytherapy (NIBB), an important feature of the AccuBoost Technique for Accelerated Partial Breast Irradiation (APBI) is that the patient can receive treatment EITHER two times a day for 5 days OR once a day for 10 days. Additionally, not having a balloon or catheter penetrating the skin as used in intracavitary or interstitial breast brachytherapy approaches, eliminates indwelling device-related complications such as infection. 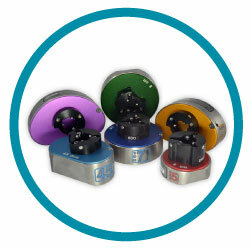 With the AccuBoost Technique, the option to use either the customary BID treatment approach or a QD option is available. This affords patient, clinic, doctor and staff more flexibility in scheduling. For working women or those who are primary caregivers for children or the elderly, this can be a very helpful option. Coming to the clinic once per day can make scheduling much easier and not even require a patient to take vacation time for treatment. The immobilization of the breast combined with daily imaging allows the radiation oncologist excellent confidence in targeting. When combining the excellent visualization with well-collimated fields from shielded applicators, a 4-field box technique and an immobilized breast, substantial dose sparing to healthy tissues and neighboring organs like the heart, lungs, skin and chest wall is possible. 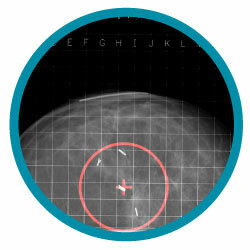 The mammographic imaging allows direct visualization of the target within the breast rather than relying on any external references for field localization.